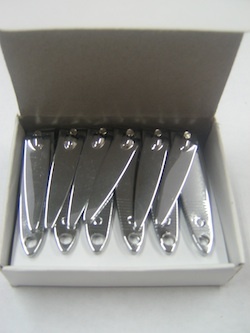 Traditional nail clipper. Chrome plated. Sold in quantities of 12 pieces. Discount for 6 or more sets.